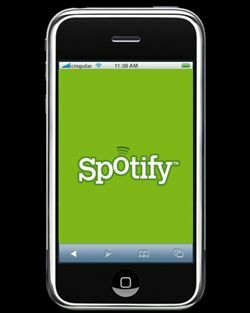 Music streaming outstrips downloads, says Nielsen report | What Hi-Fi? Consumers are more likely to stream music than pay to download it, according to a survey conducted by research agency Nielsen on behalf of Midem. The Hyper-Fragmented World of Music survey involved 26,644 respondents interviewed across 53 markets during September 2010, according to MusicWeek. It found that 17% of those polled paid to download music – although fewer than 10% had paid to download a full album – while 26% stream music. Just under half of the respondents admitted to downloading music without paying for it. Awareness of streaming services is higher among younger consumers. The biggest challenge for streaming music services is to make money out of them, with only 22% of those who had used a streaming service saying it was something they would pay for. Ad-funded streaming services appealed to 57% of respondents, while 37% said they would be prepared to give certain personal information in exchange for free access to music. Smartphones and mobiles will be key to driving the market for paid streaming services, the report finds, with 18% of those polled paying to download music to their handsets.